But this is no novel blueprint – the drama is happening for real at the Brontë Society and it has led to an elderly trustee being partially banned from the Parsonage Museum in a row over “missing” family treasures worth more than £200,000. Anne Simpson, 79, has been accused of “harassment and bullying” at the museum in Haworth, West Yorkshire, and now faces being forced out of the literary society which preserves the legacy of the Brontë family, the most notable members being Charlotte, Emily and Anne. Mrs Simpson launched her own inquiry after noticing some items in the society’s inventory, including letters and books, were recorded as “not seen”, but claimed her concerns were brushed aside. Shortly afterwards, Mrs Simpson received 60 pages of the last official appraisal of the Brontë Collection by auction house Christie’s in 2011. According to the inventory, posted to Mrs Simpson by a museum source, Brontë artefacts worth £200,000 entrusted to the Parsonage were recorded as “not seen”. The 15 items, mainly letters and books, donated or bought by society members, are believed to include two letters sent to former servant Martha Brown by the family in 1849 and 1854, together valued at £120,000. Also worth tens of thousands is correspondence with artist JH Thompson, who produced a portrait of Charlotte, her suitor Henry Nussey and WS Williams, literary editor of publishers Smith Elder. Mrs Simpson said she was assured by a staff member that they were all accounted for and regarded the case as closed, but the woman complained about her behaviour and she found herself accused of harassment, bullying, fiddling expenses and failing to attend meetings. All four complaints against her were upheld following an investigation. John Thirlwell, chairman of the society’s board of trustees, said: “The board investigated the concerns raised by Mrs Simpson and satisfied itself that the collection is completely safe and secure and managed in accordance with our accredited museum status. We wonder, in our naivety, wouldn't it be simpler to show the 'missing' items publicly and end the controversy? EDIT: The Daily Mail (surprise, surprise) echoes the news. As does The Times. For a long time, its biggest juice revolved around Thomas Ravenel — a former politician and very definition of Good Ol’ Boy who once actually went to jail for 10 months for drug trafficking — and his on-off, way younger squeeze, the aforementioned Kathryn, whom he managed to knock up not once but twice! All within the span of the life of the show. Sentada en un sillón al fondo de la librería Eterna Cadencia, en Palermo, Buenos Aires, Julieta Venegas lee ‘Jane Eyre’, de Charlotte Brontë. La novela publicada en 1847 es uno de los títulos que la cantante mexicana eligió para compartir con el público en la clase magistral de la temporada 2018 del Ciclo de Letras del Centro Cultural San Martín. Epic Reads publishes an excerpt from the upcoming novel My Plain Jane; Mille (et une) lectures de Maeve (in French) reviews Daphne du Maurier's The Infernal World of Branwell Brontë. 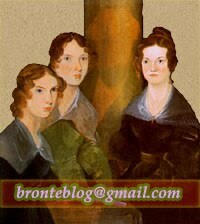 The Sisters' Room reviews the Italian translation of Emily Brontë by Agnes Mary Robinson.